So how do we find the source of a thought? Easy. If it’s a discouraging, destructive thought; if it brings fear, worry, doubt, or unbelief; if there’s a possibility that it will bring deceit, dishonesty, unrighteousness, or shame, I can guarantee you that the thought didn’t come from God but instead from the enemy. Think of the current situation of the Miami Dolphins. The team is faced with accusations of harassment, racism and bullying within their own locker room. The scrutiny and inevitable discipline that the organization will undergo could have all been avoided if the players, coaches and leadership were all committed to acknowledging the LORD in all their ways and allowing him to direct their paths (Proverbs 3:6). None of the alleged behavior described in this story is excellent, nor worthy of praise. We must make a quality choice to keep our minds focused on the good things of God, no matter the circumstances. We are not limited to human reasoning. 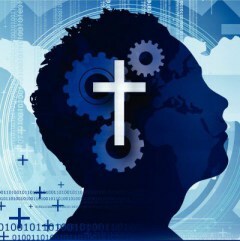 Once we realize that the mind of Christ is ours through the Spirit of God (1 Corinthians 2:16), we can truly transform our thinking and experience His best for our lives. Review your spiritual checklist daily, pray for wisdom and do not conform to the ways of this fallen world.